Reedist Shawn Maxwell has won fans with a handful of provocative albums that helped make him an exciting figure on the Chicago jazz landscape. 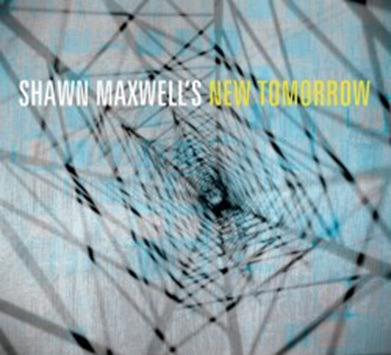 New Tomorrow, which ads trumpet voices to Maxwell’s regular quartet, sees the leader taking even more chances in his ongoing quest to surprise the listener. “Embraceable Excuses,” the opening and strongest track, points to what’s to come: a plethora of riff-driven themes punched up with a heavy backbeat, embracing odd meters and leaning toward funk. What elevates these idiosyncratic tracks above mere compolsitional self-indulgence is the marvelously collaborative spirit that informs the album.